Hello! 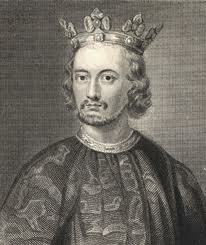 Welcome to my 100th post all about King John. So, after John’s boring brother Richard I died, John became King. So what does John do after he’s king? Lose all his brother’s French lands. So much for brotherly love? OK, so far, so good. What next John? John then started to overtax the barons and Church. What next? Oh, uh, he’s arguing with the Pope. OK, that’s not a good idea. 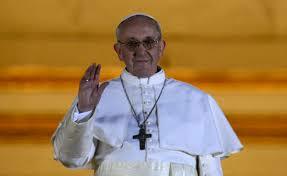 Yeah, after the overtax, the Pope started arguing with John. The king got banished from the church and all church services were banned in England. On a scale on 1 to 10 in badness, that was an 11. After that, things went even more opps. The barons asked John to sign the Magna Carta, a document which promised freedom and land to the people and made John promise that there would be NO OVERTAX! The barons got even more annoyed and invited the King of France’s heir to invade and take the throne. John went nuts and ran away, allegedly losing the Crown Jewels in the Wash.
And then he died, which you didn’t need to know. Bye John, nice knowing you! Next Doctor Who is not racist! What a good post – I now know everything that I will ever need to know about John. I’ve got a feeling John has been much maligned and was a better king than he gets credit for. And I’ve got a feeling that you told me that in an earlier post!